"180" (2015) is a three channel work of 180 minutes of 125 exercise videos from the late 1970s to the present. Each video is a sixty minute composite sourced from YouTube ranging from anonymous and celebrity instruction videos to commercials and sports competitions of body builders and gymnasts. "180" allows the viewer to inhabit three different times and spaces in any given moment, as well as act as a time capsule and explore the evolving relationship between pop culture, the body and identity. The film was first presented as part of Art Gym at fig.2 in the Institute of Contemporary Arts, London in 2015. 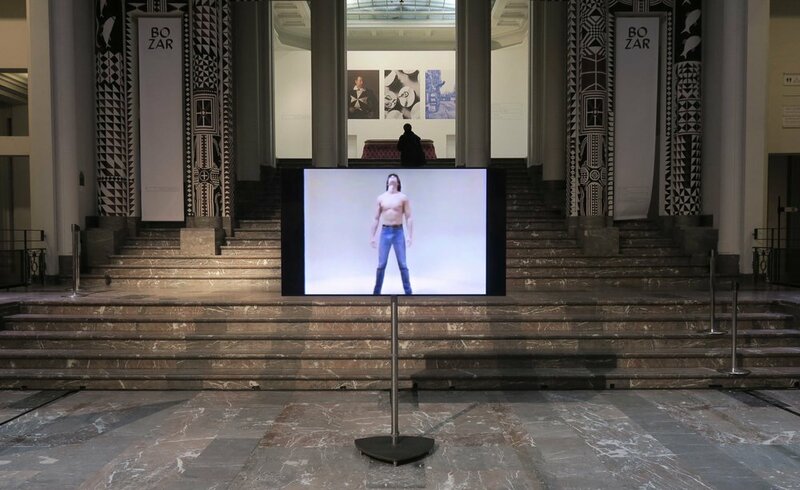 Subsequently, the work has been presented at Chi-Wen Gallery, Taipei in 2016 and as part of Marvin Gaye Chetwynd’s performance ‘Insanity!’ at BOZAR, Brussels in 2017.